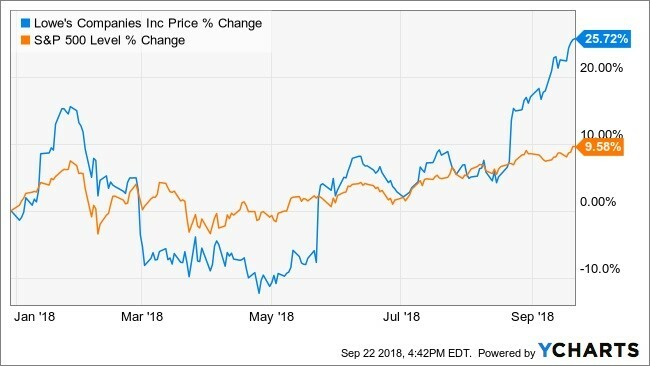 Lowes Companies Inc.’s (LOW) stock has been on fire increasing by over 40% since early May; outperforming Home Depot Inc. (HD) and the S&P 500 during that time. The top 150 hedge funds WhaleWisdom tracks for its heat map where adding the home improvement retailer to their portfolios during the second quarter. The buying was convincing enough for WhaleWisdom to include the stock in the WhaleWisdom WhaleIndex 100. The stock delivered strong fiscal second-quarter results, as well as a plan to reduce cost. As a result, the stock has soared, playing a game of catch-up with Home Depot. The stock moved up on the WhaleWisdom heat map to 36 from its earlier position of 43 in the first quarter. The top hedge funds tracked for the heat map were buying the shares in the quarter, with 21 now holding the stock. 13 funds increased their positions while eight lowered their holdings. However, more interesting is that overall, hedge funds were selling their shares during the quarter. The amount of total 13F shares declined by 1% to 64 million. 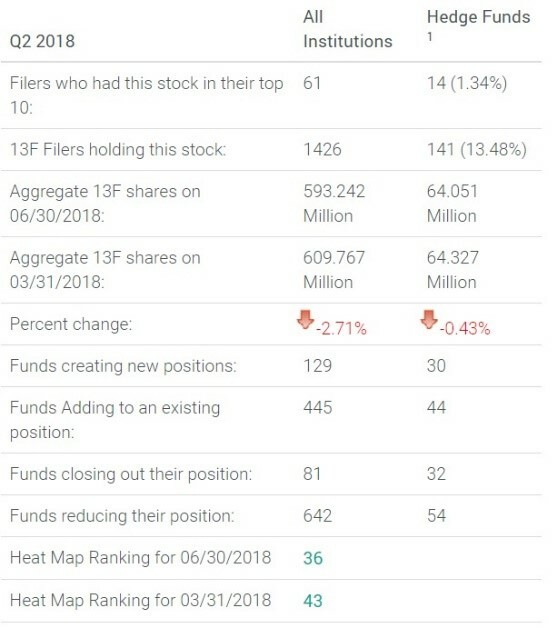 Meanwhile, institutions were dumping their shares too, with the number of total 13F shares falling by 3% to 593 million. The shares have risen since the middle of August. That was when the company laid out an initiative to better streamline the business with a focus on its core operations, under new CEO Marvin Ellison. The company reduced its full-year earnings and revenue guidance to $4.55 at the mid-point, lower than prior guidance of $5.45 at the mid-point. However, the lowered guidance was a result of the company’s decision to close its 99 Orchard Supply Hardware stores. Since the company announced its current plans, investors have been willing to pay a premium for the stock. 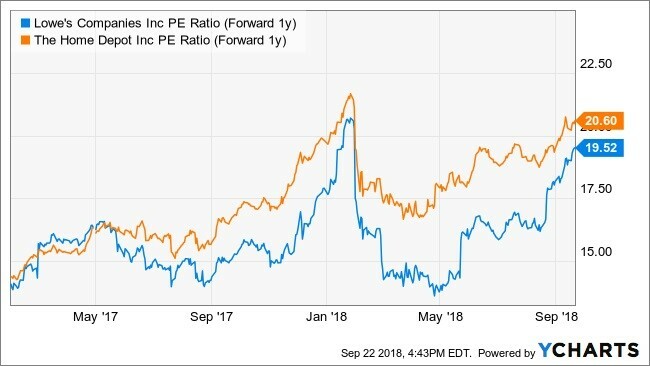 The one-year forward PE ratio for Lowes has expanded to 19.5 from 16.3 in the middle of August. The multiple expansion has allowed Lowes stock to trade at a PE ratio closer to that of Home Depots’ 20.2. If Lowes’ turnaround can deliver strong results and lower its operating cost; the company should be able to drive margins higher. Then the difference between the PE of Home Depot and that of Lowes should narrow further. Not every hedge fund is the same, and Lowes stock performance is an example. It’s another reason the best and brightest funds get that title; it is because they are. This entry was posted on Monday, September 24th, 2018 at 10:25 am and is filed under HeatMap, Stock, WhaleIndex. You can follow any responses to this entry through the RSS 2.0 feed. Both comments and pings are currently closed.